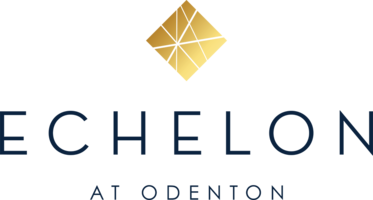 No matter the time of year, it’s always the right time to enjoy the many amenities offered at Echelon at Odenton in Odenton, MD. In warm weather, the Mondrian-inspired swimming pool and barbecue grills spell endless outdoor fun. For year-round fitness, challenge yourself in the 5,000-square-foot gym and spin studio. If you seek more relaxed pleasures, don’t miss the movie theater, the cyber café or the viewing decks of the surrounding wetlands, which change in appearance throughout the year. After exploring the amenities, retreat home and let the comfort begin. A fully equipped kitchen awaits you, with stainless steel appliances and granite countertops. The hardwood flooring and crown molding add elegant flair while ceilings anywhere from nine to eighteen feet give your space extra airy dimension. Later, retreat to the bathroom and luxuriate in your oversize soaking tub or take care of some laundry with the in-home washer and dryer set. Learn more about these elegant apartments for rent near Fort Meade today. Pet policy: We welcome 2 pets per apartment home. There is a $250 pet fee and $40 monthly pet rent. Maximum allowed weight is 100 pounds. Breed restrictions apply. Please contact the leasing office for a list of breed restrictions and complete pet policy. Parking Comment: Covered garage parking - $35 per month. Please contact leasing office for complete details.